Congratulations to "Emily D.", the winner in Janie's giveaway. Please contact JUST ROMANTIC SUSPENSE to claim your prize. Thank you to all who participated! I’m thrilled that my new book ARMED RESPONSE releases on all formats this week! Early reviews are in, and they are fantastic! 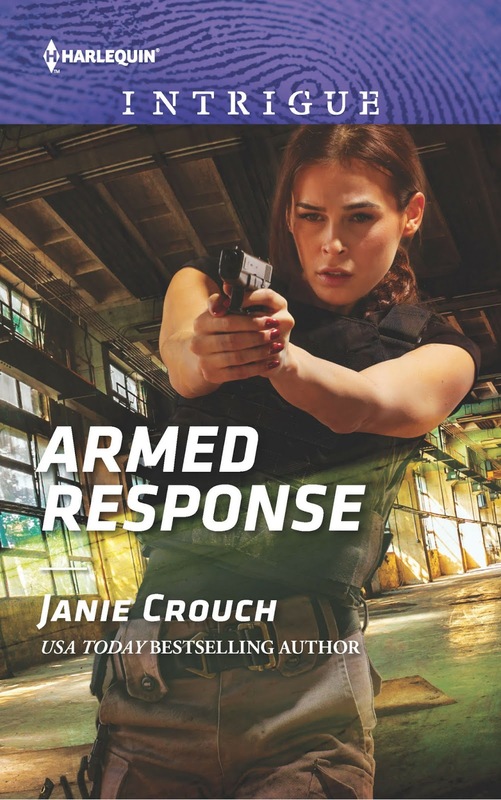 Here’s an EXCLUSIVE EXCERPT from ARMED RESPONSE where Jace and Lillian are attempting to defuse bombs in an elevator shaft—it’s one of my favorite scenes from the book! “We’re under two minutes, Jace. Which wire am I supposed to cut?” Lillian asked. They both heard the guy in the elevator start crying, promising God he would go to church every day for the rest of his life if he survived this. “Tell Him you’ll stop making sexist remarks, too. Maybe that will help,” Lillian called down to him. He couldn’t wait to get her back in his bed. All the thoughts about keeping his distance from her seemed ridiculous now. The bomb was clever. If that tiny wire got cut by accident—by someone who didn’t see it—the explosive would detonate. They were in serious trouble. Guy below them began crying louder. “Is it possible to defuse it?” she asked. Their eyes met across the roof of the elevator. Hers were calm, like his. Lillian could handle it. He quickly explained about the aluminum wire, the need to separate it gently from the other wire that had to be cut. Just getting the device in front of him defused would take all his time. There was no way he’d be able to help Lillian with hers. Jace couldn’t keep from chuckling. Lily. God, if he had to go out, there was no one else he’d rather go with. Guy inside was wailing now. Jace carefully eased his blade through the tiny wire, using the utmost caution not to cut the aluminum wire around it. He took in a breath to focus and then made the final cut. He looked over at Lillian. They had less than fifteen seconds. Jace stayed where he was. The best thing he could do now was let her do her job. Trust her to do it. And he did, he realized. She was crouched there, small flashlight now in her mouth pointing down at the device, completely focused on the task at hand. That was the Lillian he’d always known. Able to handle anything. C’mon, Tiger Lily. Save our lives. He’d no more than finished the thought when she looked up, grabbed the flashlight out of her mouth and grinned. 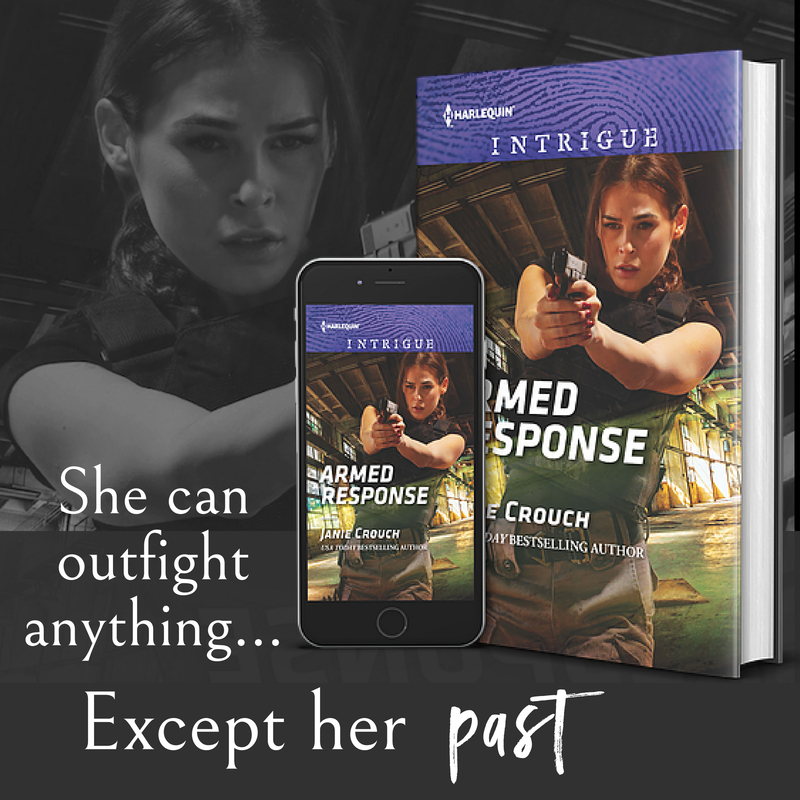 Don’t miss ARMED RESPONSE –available wherever books are sold! Lillian Muir is the lone female member of the close knit Omega Sector SWAT team, but that's never been a problem. She can throw down with the best of them. Can outfight anyone or anything that gets in her way. She's made damn sure no one on her team suspects the darkness that haunts her. 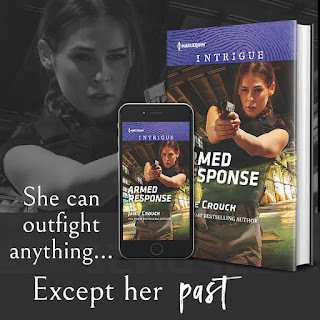 But when former Special Forces soldier Jace Eakin arrives to help fight a terrorist mastermind, he sees Lillian not only as the fierce warrior, but as the wounded woman. He's determined to stand beside her as she battles her demons. Janie is giving away ANY of the OMEGA SECTOR: UNDER SIEGE books. (ebook or paperback for USA; International: ebook only). To enter, just post below with the name of any book you’re currently reading (hope you’re loving it! Life’s too short for boring books). Winner picked randomly. Giveaway ends 11:59pm EST July 31st. Due to GDPR regulations you no longer need to submit your email address in the comments. If you have been selected as a winner your name will be posted at the top of the post. You may then contact maureen@justromanticsuspense.com to claim your prize. Your email address will be shared with the author/publicist providing the giveaway. I'm reading I Flipping Love You by Helena Hunting. Love her books. Needed some contemporary funny romance. Too much sad happening in life. I'm reading an anthology of cozy mysteries that just released last week, Summer Snoops. Baby Teeth by Zoje Stage! "Snowbound with the Best Man" an ARC. it is really really good! Not sure if I'm too late but I'm reading One Lucky Vampire by Lynsay Sands. Reading Asp by Kris Michaels at the moment and loving it.